One of my favorite things about living here in the Northwest are the amazing farmer's markets. The fresh fruit and veggies up here are insane! What's your favorite summer time fruit? Mine is fresh, juicy peaches. When I was a little girl I wanted to sell them at a country side road stand in Missouri, where we lived at the time. I guess times haven't changed all that much. I still love peaches and want to share it with all of you. For this recipe, I choose to use white peaches. They are sweet and gorgeous, but buyer beware that they are indeed softer than their yellow sisters. *Don't let your toddler toss them in your bag or you will be sad when you get home. * What is the difference between white and yellow? Not much these days, though historically the white peaches were tangier. Feel free to go with the peach of your preference or which ever one your farmer has a better deal on. I used these same peaches for the puree that goes into the buttercream. Everything gets cooked and it develops into a gorgeous pinky peach color. You may want to consider that as well if you are going dye-free on the buttercream as I did. When I create cupcakes, my family is all about the frosting. More frosting, more frosting, more frosting. Yup. To help them in their quest for more buttercream, I now scoop out a small bit in the center of the cupcake and fill it up with deliciousness. The extra cake is not wasted - it makes a tasty snack for the baker or you can use it for cake pops! 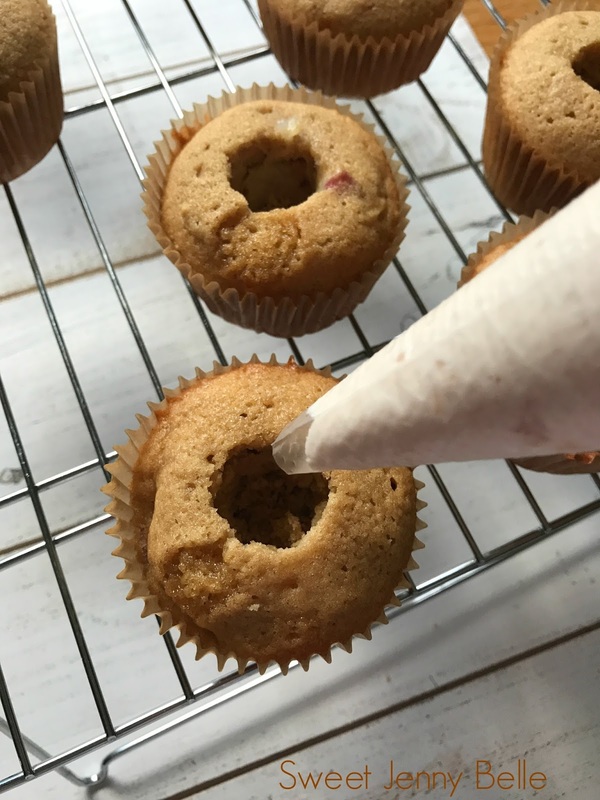 I do use a fun little tool to make it easier, I love this cupcake corer - so quick. 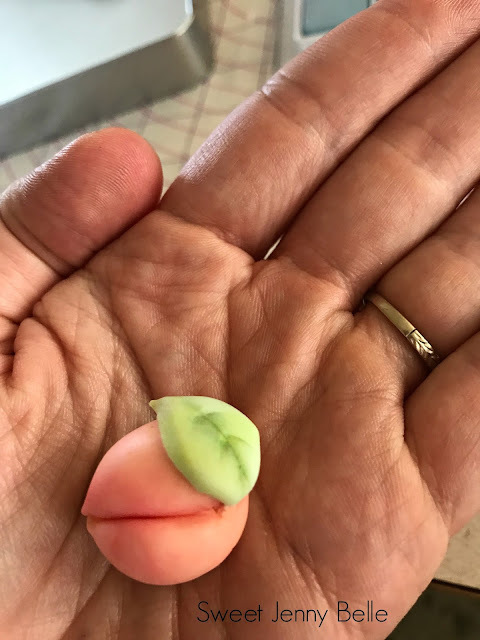 I made some quick little peach fondant decorations for the cake. I just love modeling with fondant these days and always looking to improve my skills. My kids love eating it too - blech, not for me, but glad they enjoy it! I just love how it looks and that because it's edible, I can have fun with it on food. These are pretty darn easy, but if anyone would like a tutorial, please let me know and I would be happy to create an additional post all about it. The buttercream roses could not be easier or more beautiful. Truly all you need is a frosting bag and a 1M tip. This magical icing tip can be found at your local craft store in the baking aisle or you can pick one up over on Amazon. If you start in the center of the cupcake and make a simple swirl - ta da, you have a gorgeous rose! Seriously nothing easier in the world. 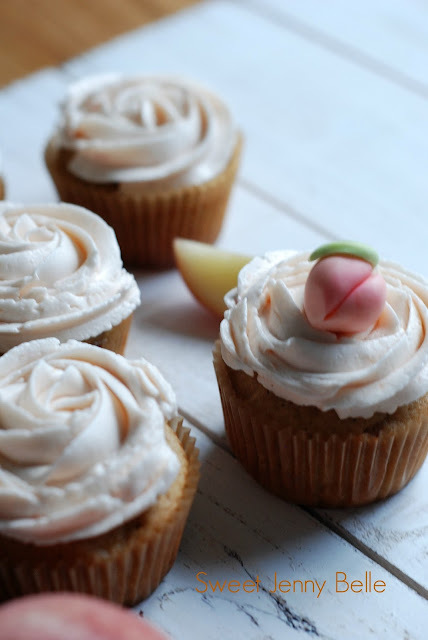 A soft and light cupcake full of fresh peach chunks, topped with a lighter than air peach buttercream. These are the perfect dessert for a summer party or baby shower. In your mixing bowl, cream butter and sugars at medium speed until it is light and fluffy. Add the eggs one at time, mixing well before you add the next. Gently whisk in chopped peaches and then set aside. Preheat oven to 350 F.
In a separate medium bowl sift flour, baking powder, salt and cinnamon together. (I sift two or three times, but please sift at least once). I find that my cakes are lighter and fluffier after I take the time to sift. In a small bowl add vanilla, milk and Kahlua. Alternating between the flour and milk, add about 1/3 of each to the creamed butter. Continue alternating the mixing until well combined and you have a nice fluffy cupcake dough. Be careful to not over mix or your cupcakes will be too dense. Prepare a muffin tin with liners or baking spray. Scoop the batter and fill tins about 1/2 - 2/3 full. Bake for 20-24 minutes or until they are golden with rounded cupcake tops. 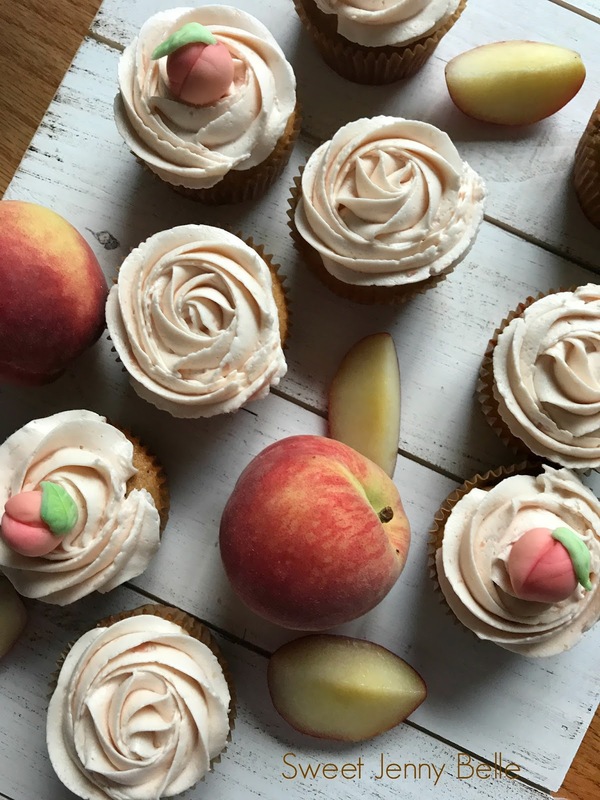 Cool cupcakes and decorate with peach buttercream. These cupcakes may be baked and frozen in advance. 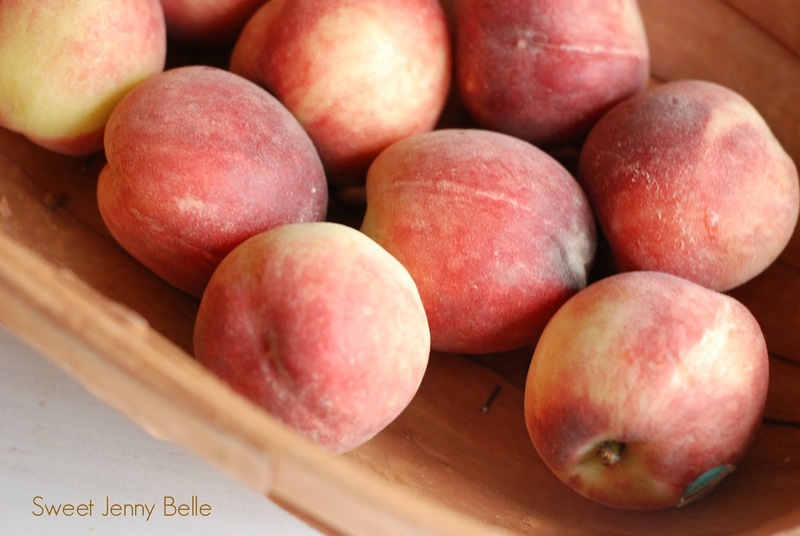 Be sure to refrigerate any leftovers to keep the peaches from spoiling. In a mixing bowl, whip all ingredients until your frosting is light and fluffy. I usually beat my frosting on medium-low for 5-10 minutes depending upon how cold my butter was. If your frosting is too thick, you can thin it down with a bit more peach puree or milk. Leftovers need to be refrigerated or frozen to prevent spoiling. In a small pot combine peaches, sugar and water. Bring to a boil over medium heat. Lower heat to low and simmer for 30 - 45 minutes. Pulsate peach mixture in food processor until you have a fine puree. Allow puree to cool to room temperature then refrigerate until needed.